This month I’ve been trying some new things in my fitness and nutrition routines to see if I can get off the plateau I’ve been on. First off, I’ve completely ramped up my workouts— I started with a personal trainer at my local gym that I meet with twice a week. On my off days, I’m doing group classes at the Tough Mudder Bootcamp they just opened here in Vegas. I’m getting better workouts than I ever did when I was self-led, and waking up muscles that haven’t seen the light of day… ever? But you know the saying: muscles are made in the gym and revealed in the kitchen. I’ve always been conscious of what I’m eating in terms of calories and quantity, but wanted to see if cutting back carbs would help expedite the “revealing.” No, I’m not talking Keto— while it’s praised aggressively all over the internet, I just don’t think it’s a sustainable diet for myself. But, I was willing to give cutting back carbs a try, at least during the week! So I was really excited to get a copy of The Everything Low-Carb Meal Prep Cookbook. This cookbook includes 300 recipes that you can make ahead for the week, so you don’t have to worry about dinner every night. Each one makes six servings that can be stored in the fridge and there’s also a freezer section for when you want to save a meal for busy times. However, I haven’t been using this book to prep my meals a week in advance. In our household, I typically make multiple servings of each dish since my husband can afford bigger servings than my own calorie restrictions, and for leftovers to eat for lunch the next day. Speaking of my husband, he’s a carb lover. However, this book includes so many yummy foods that he can totally get on board with, as their fat and protein content balances them out and fills you up. However, it’s easy to add a side of rice or potatoes to each dish in case he feels like he needs something extra. I’ve also found the recipes to be very easy to adapt if the whole shebang isn’t up your alley. 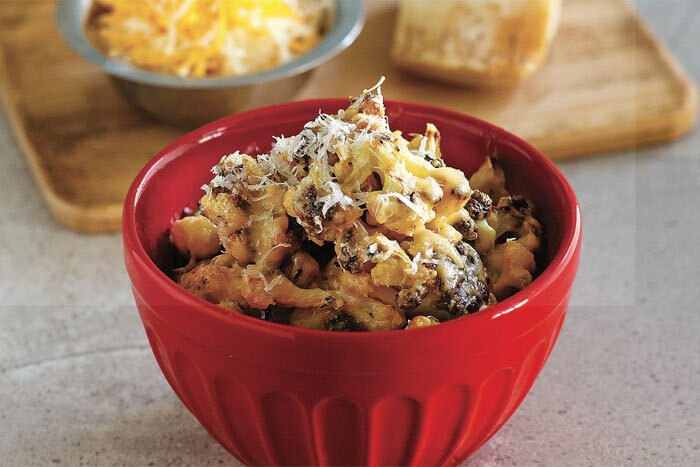 For example, I used the same ingredients and most of the steps for the Spaghetti Squash Casserole to just a simple spaghetti squash dish with the fixings mixed in for me, mixing in the fixings with normal pasta for Adam. by permission of the publisher. All rights reserved. Photograph by James Stefiuk. One aspect of The Everything Low-Carb Meal Prep Cookbook that I love, but is also a bit of a downside, is that there is no fluff when it comes to the recipe pages. No lengthy introductions to skip over, trying to find the actual steps of the recipe. You have a straightforward description, ingredients box and numbered steps. On the flip side, they also omit photos of each recipe which is a bit of a bummer, since I’m very visual when it comes to choosing my meals. 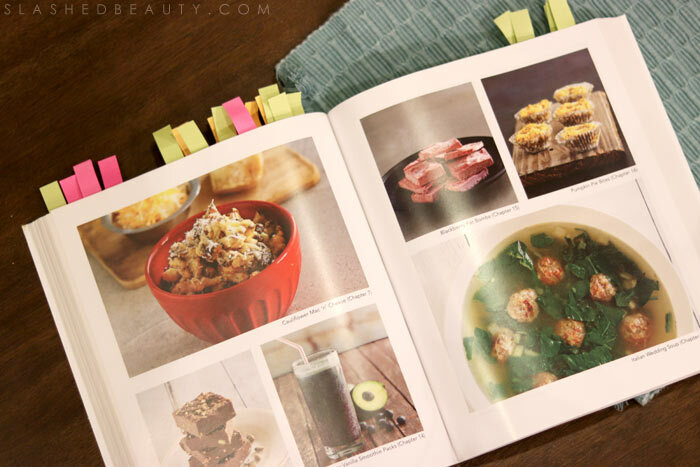 However, there is a photo spread in the middle of the book with some highlighted foods. I’ve also used the cookbook to create party meals for potlucks where I know others will probably be bringing carb-filled foods. 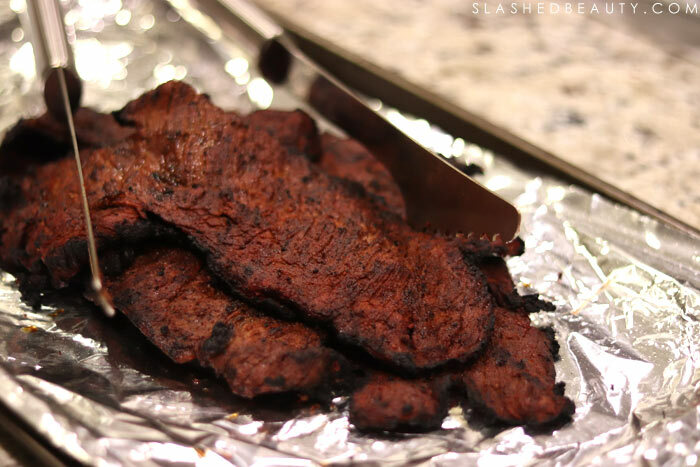 The carne asada recipe was a huge hit at a recent party, and it was gone in a flash! I paired it with riced cauliflower and guac. These are truly low-carb meals that everyone can enjoy regardless of diet. 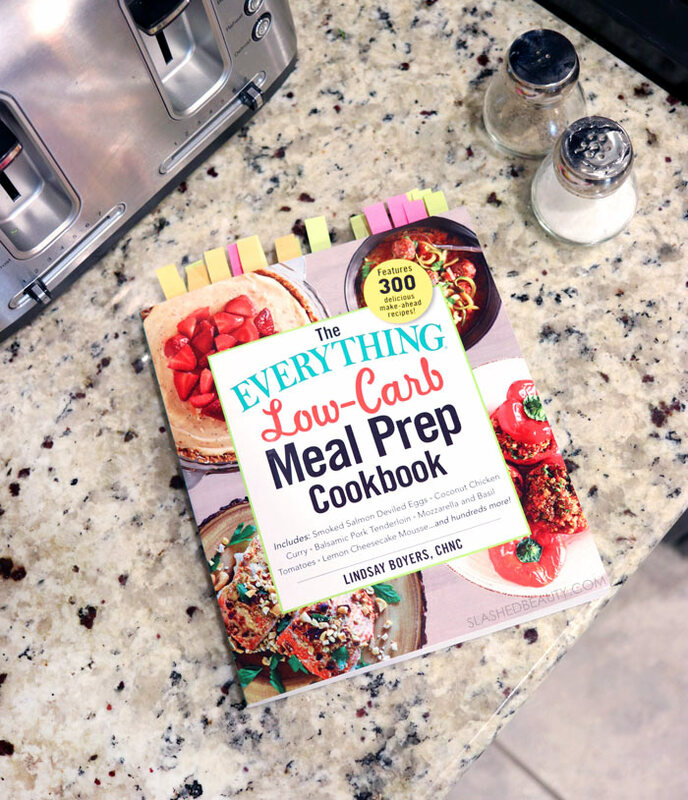 You can get The Everything Low-Carb Meal Prep Cookbook on Amazon for both Kindle and Paperback. 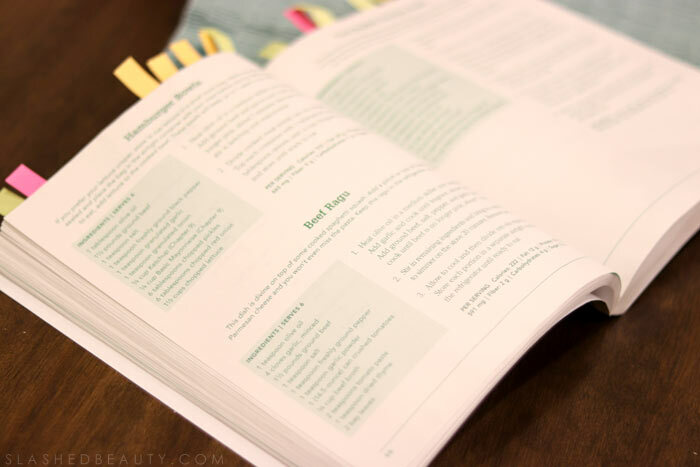 I personally still love using cookbooks rather than just looking up recipes on the web, because it’s easy to flip through and again… less fluff! What are you favorite low-carb meals? Link me your go-to recipes!